The Club Shop will be now be closed on Saturdays throughout the off season. The Club Shop at the Memorial Stadium will remain open 9am-5pm, Monday to Friday. The shop will remain closed on Saturday’s until July. Supporters can still purchase merchandise online. To visit the online Club Shop, please click HERE. 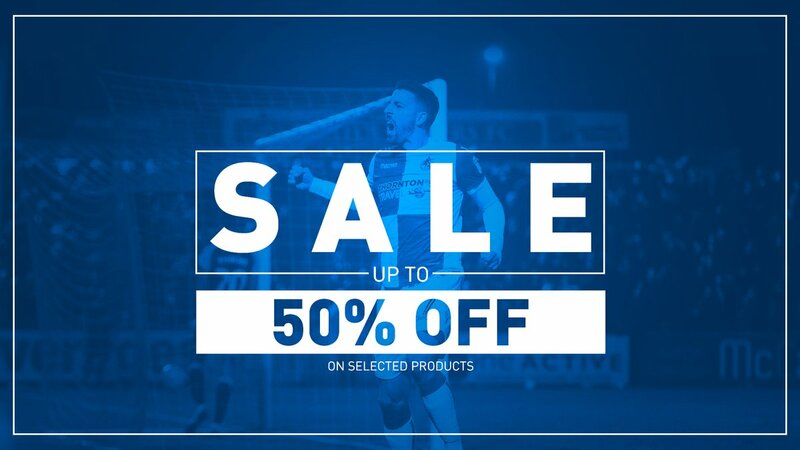 Currently, there’s up to 50% discount on Macron Merchandise in the Club Shop. Home Shirts (adults sizes only) are now priced at £23.50, while away shirts (limited adult sizes) are priced at £23.50 and kids away shirts are priced at £18.50. For more information, please click HERE.